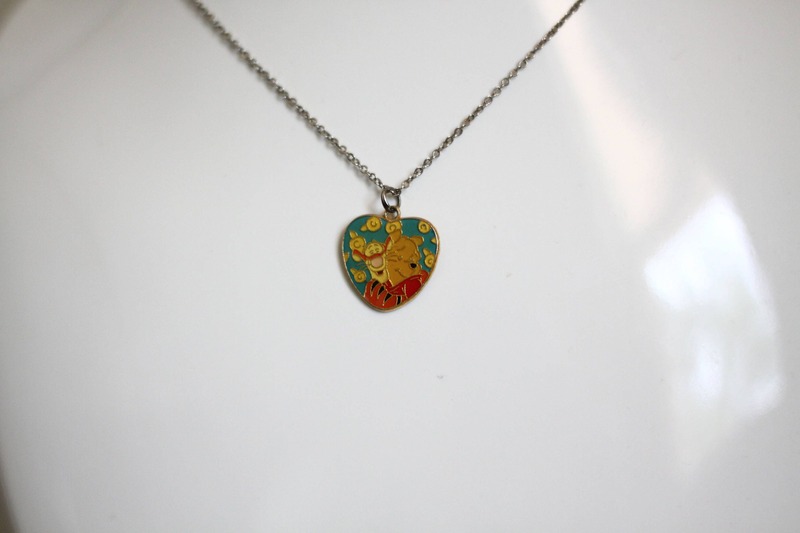 A 1980s Disney necklace. 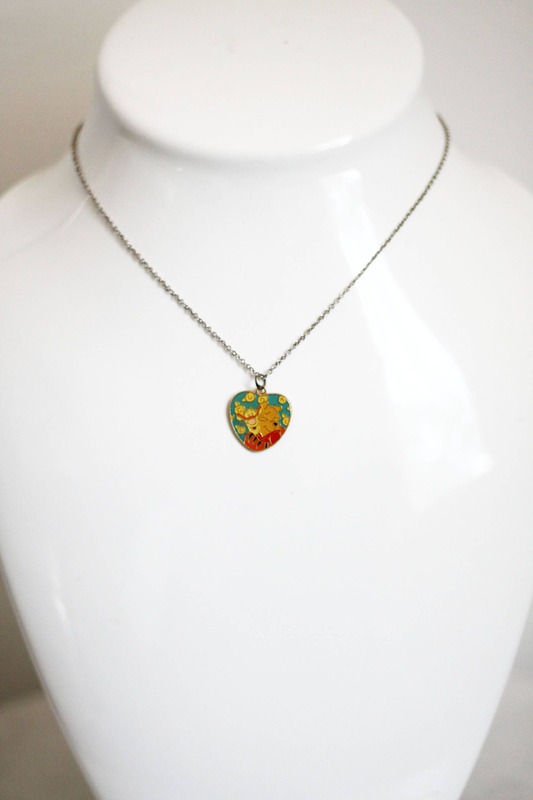 Winnie the Pooh and Tigger hugging on the enamel coated pendant. 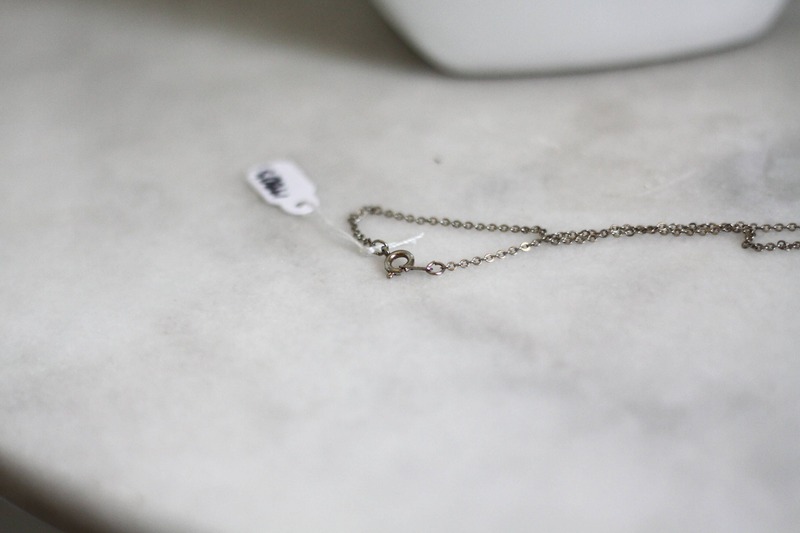 Super sweet little chain necklace. 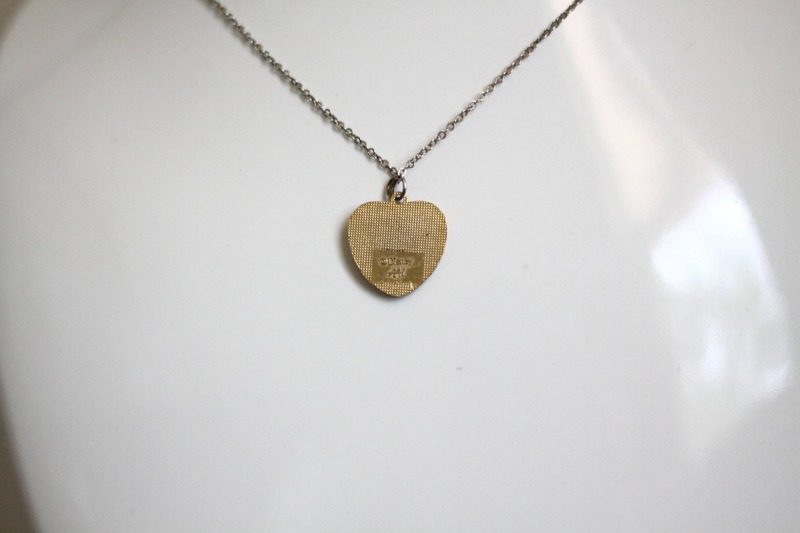 Pendant size - 0.75" x 0.75"